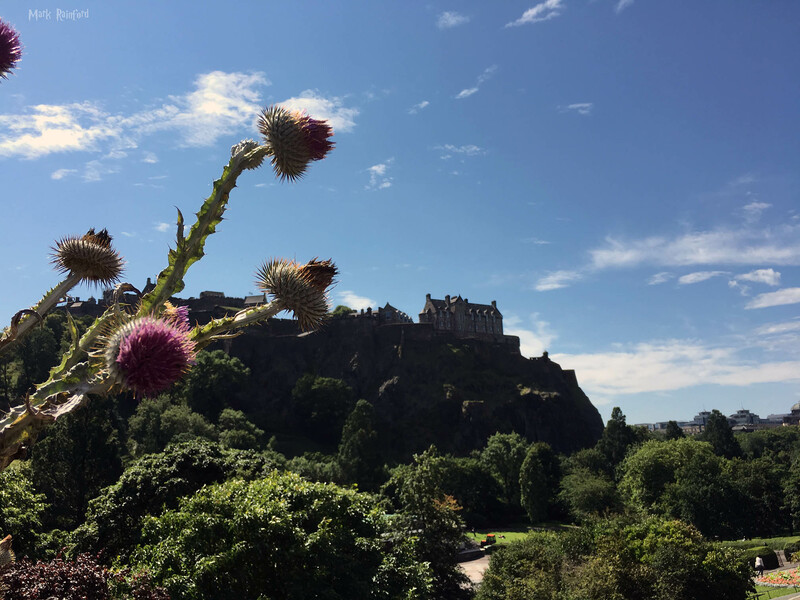 This entry was posted in Photo and tagged Edinburgh castle, Photo, Thistle on August 3, 2017 by Mark Rainford. 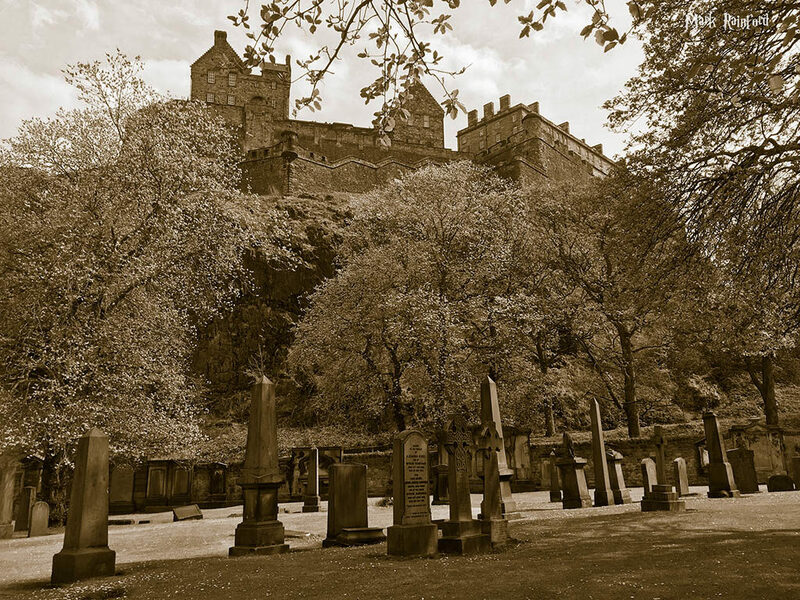 Edinburgh has many Gothic and spooky locations, here is a shot of Edinburgh Castle taken from St Cuthbert’s Kirkyard. (with a sepia tone added). St. Cuthbert’s Kirk is thought to be one the oldest site of worship in Edinburgh. The graveyard of the ‘Kirk below the Castle’ is an intrinsic part of the story of Christianity in Scotland from the Dark Ages onwards, and its establishment during the 8th century predates the first records. Despite its busy city centre location, the site feels secluded and secret. 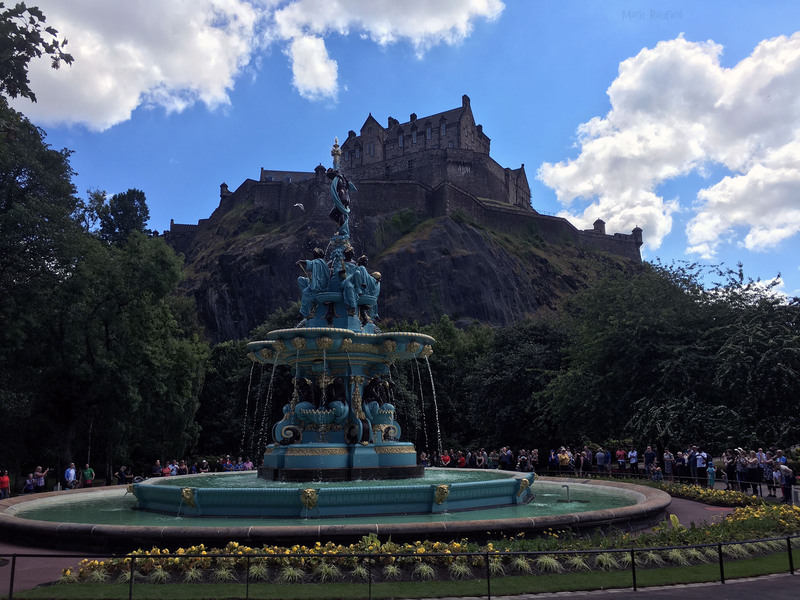 This entry was posted in History, Monument, Photo and tagged Edinburgh castle, Photo, St Cuthbert's Kirkyard on May 3, 2017 by Mark Rainford. 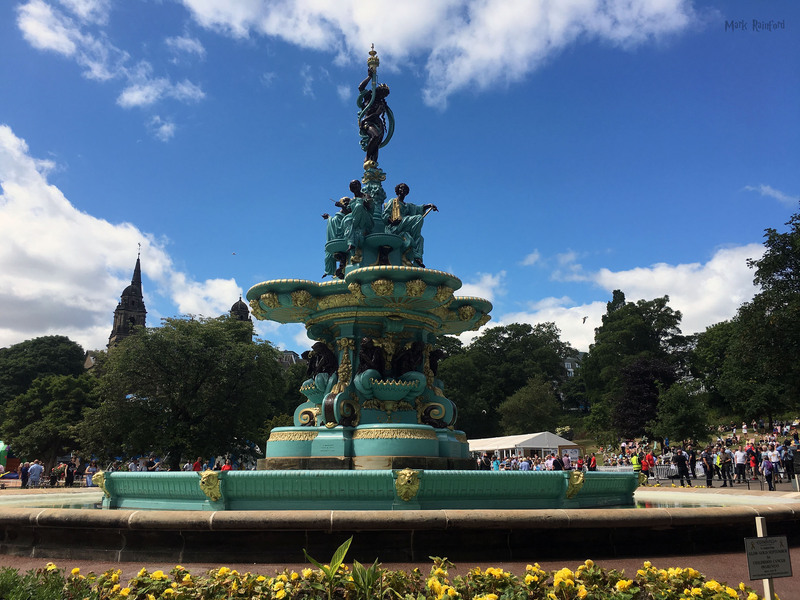 The Scots American War Memorial, also known as The Call 1914 is located in West Princes Street Gardens. 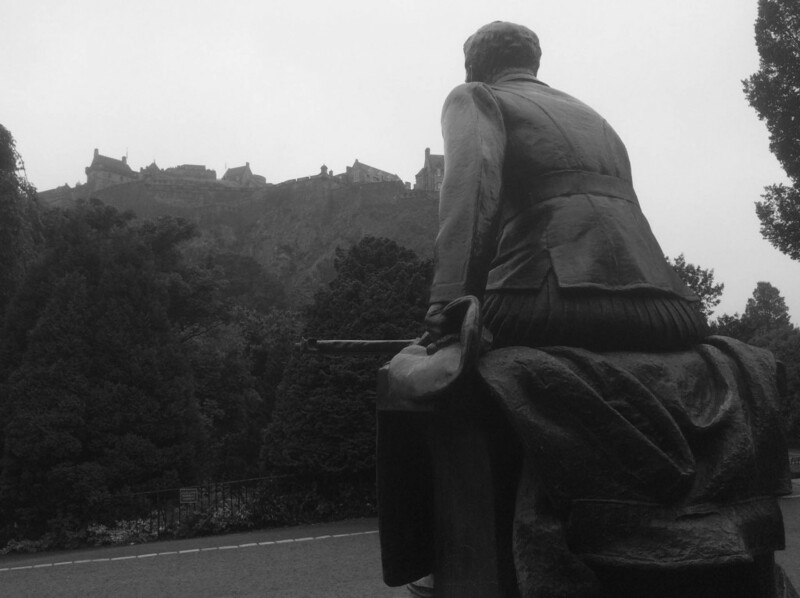 it was erected in 1927 and shows a kilted infantryman looking towards Castle Rock. 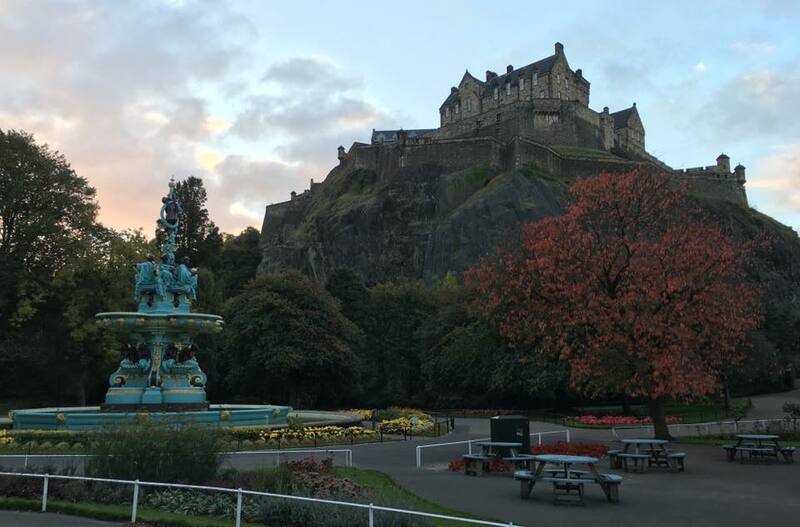 This entry was posted in Monument, Photo and tagged Edinburgh castle, Monument, The Call 1914, West Princes Street Gardens on September 11, 2015 by Mark Rainford. 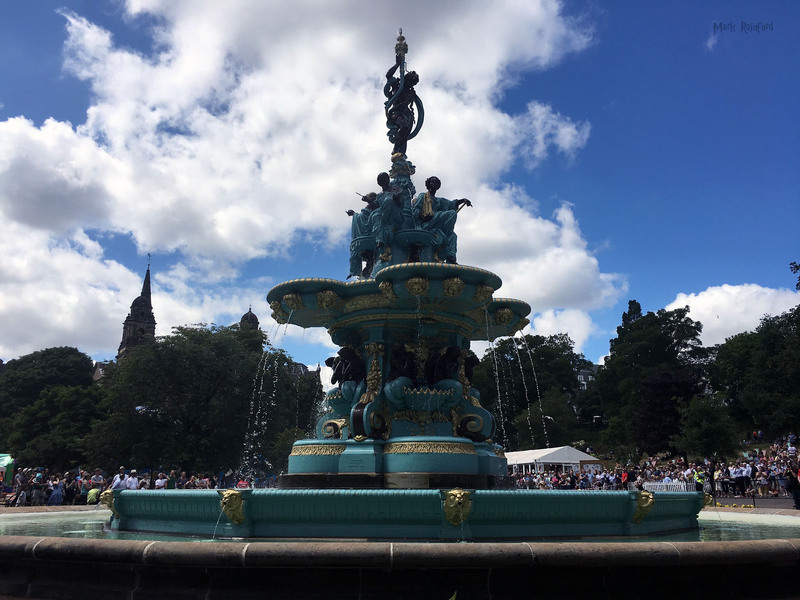 This entry was posted in architecture, Monument, Photo and tagged Edinburgh castle, Princes Street, Princes Street Gardens, Ramsay Gardens, Royal Scottish Academy Building, Scott Monument, Scottish National Gallery, st cuthbert's parish church, The Mound on July 20, 2015 by Mark Rainford. 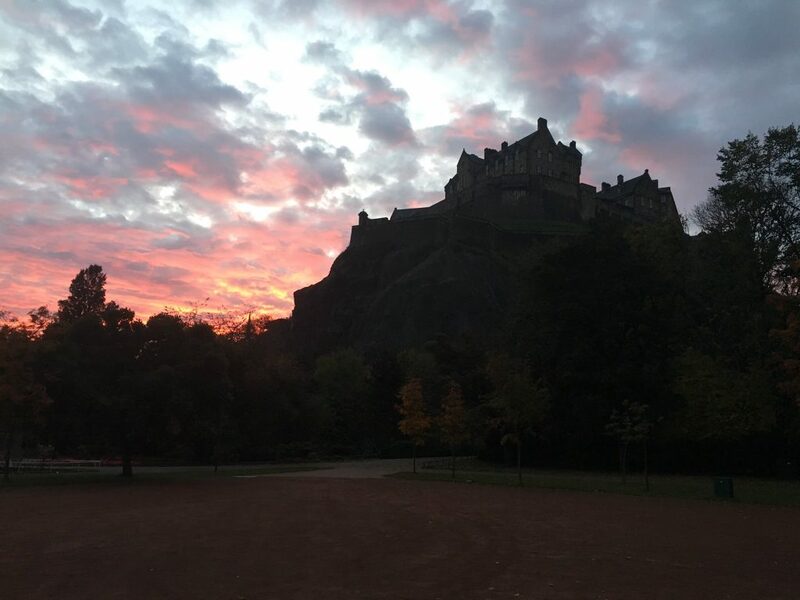 Here in Edinburgh we have a unique way of telling the time, at precisely 1300 everyday (exuding Sundays) we fire a cannon from the castles ramparts. The tradition began in 1861 to provide ships in the Firth of Forth with an audible time signal. 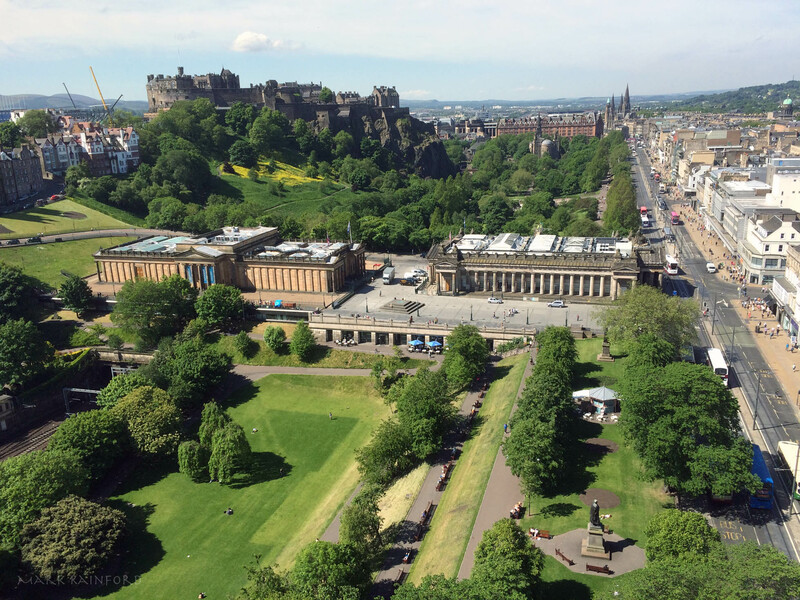 This entry was posted in History, Media, Monument, Museum and tagged Cannon, Edinburgh castle, Firth of Forth, The One O'clock Gun, Time on April 19, 2015 by Mark Rainford. 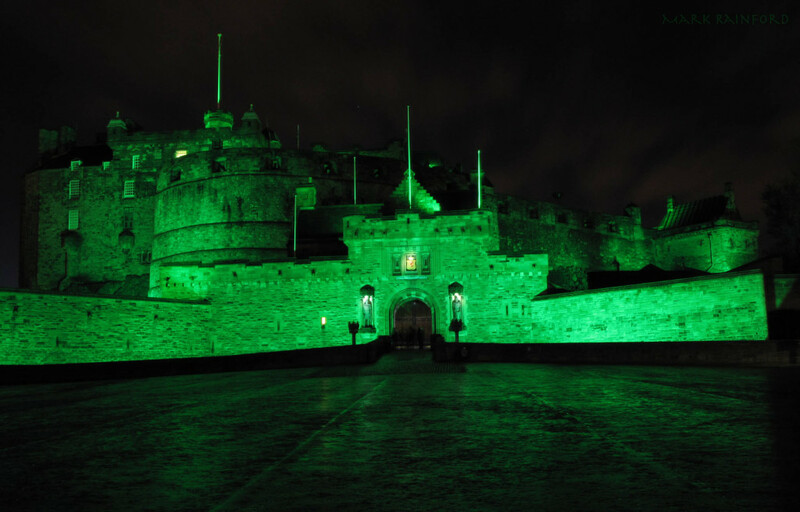 This entry was posted in Photo and tagged Castle, Edinburgh, Edinburgh castle, Green, Photo, St. Patrick’s Day on March 17, 2015 by Mark Rainford.